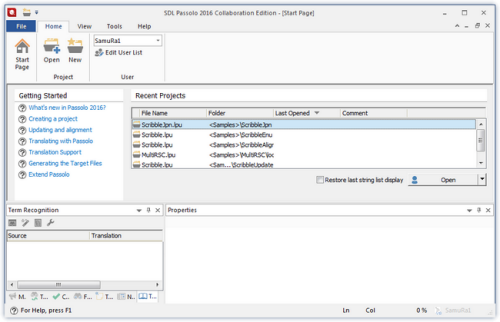 SDL Passolo 2018's new integrations with SDL Trados Studio and SDL Trados GroupShare make it easier for translators to work more effectively on Passolo projects in their preferred translation environment. Deeper connections with SDL MultiTerm improve quality whilst a new secure connection to the Box platform enables more efficient, time-saving collaboration. For the project manager, there is additional reporting data, improved project tracking and smarter ways to work with tasks. For those using an automated workflow, a number of enhancements give you more control. With a host of additional features, SDL Passolo 2018 crack will speed up translation and improve quality. Links to Passolo 2016 & 2015 are not valid, could you please update it? If possible, could you please add Passolo 2011, too? Привет, спасибо тебе за то, что делишься таким. Можешь обновить ссылки с русификатором Passolo 2018? Все 3 битые.